I am so happy to be apart of the blog tour for Uncovering Cobbogoth by Hannah L. Clark. Visit the other TOUR STOPS! Uncovering Cobbogoth (Cobbogoth #1) by Hannah L. Clark. May 13, 2014. Cedar Fort. Goodreads. When she turns to neighbor and only friend James Riley for help, she realizes that not only is their bitter- sweet past haunting her every step, but James is keeping dangerous secrets. Can Norah discover what they are before its too late to share her own. This was a great book!!! Everyone go read it. . . right now. 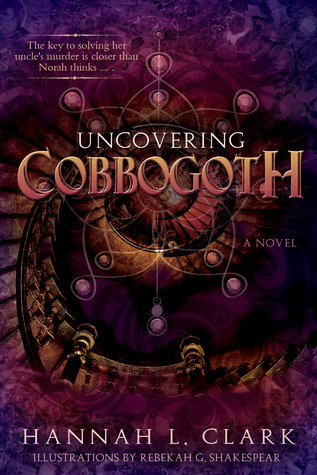 Uncovering Cobbogoth took my emotions on a roller coaster ride. I was happy, sad, heart-broken, excited, betrayed, scared, nervous, angry, ecstatic. Norah was fun to follow as she learned more about the Cobbogothians. I loved the mythical creatures. Some were awesome and amazing others were plain creepy and terrifying. Norah searched to learn more about herself and to keep herself and those she loved alive. Yes there’s a boy, his name is James. I won’t ruin your fun by giving any details away, but believe me you’ll enjoy it. And you will swoon. Uncovering Cobbogoth was a fun and exciting read. I recommend it to those of you who love YA fiction and/or fantasy. I look forward to reading the other books in this series when they release. I received the ARC eBook from Cedar Fort Publishing. I am not paid for my reviews. My reviews are solely my opinion. Hannah L. Clark lives with her husband and their son in the Rocky Mountains. She has always known she would be a storyteller. In 2006 she graduated from Utah Valley University with a bachelor’s degree in English, and immediately began writing Uncovering Cobbogoth.Hannah loves running, mythology, laughing, soulful bluegrass music, and growing things. Like her heroine, Norah, she is slightly inclined to believe that trees have souls. To learn more about Hannah and the Cobbogoth series, visit http://www.cobbogoth.com. NOW FOR A SWOONY EXCERPT!! ENJOY! “No. No, not that,” I croaked, guilt rushing through me for causing him more worry. The panic left his eyes, and he squinted at me. I shuffled self-consciously. I knew I looked terrible. I’d been up crying half the night after my argument with Uncle Jack about James breaking my heart. Finally, I snuck out my window, climbed down my cherry tree, and headed to the fire station to see James. James glanced back into the dark, communal bedroom where the rest of the night shift firefighters slept. “Come here.” He took my hand, closed the bedroom door and, in stockinged feet, led me down the hall. A moment later, we were sitting side by side on the stairs. James still held my hand, and I hoped he’d never let go. I watched as he reached into his shirt pocket, fishing around until he found a piece of peppermint gum. He offered me half. I shook my head, so he stuffed the whole thing in his mouth. Then he turned those kind, piercing eyes on me. James was quiet for what seemed like forever. I prayed he wouldn’t just shrug his broad shoulders and shuffle back to bed. He was silent again, this time longer. Stupid, Norah! Why had I come here? Why did I think James would even care about this—that it would upset him at all? Finally, James let out his breath. And the next moment, he was pressing the back of my hand to his lips. I swallowed my shock. I’d never imagined that his lips could be so warm and soft. The contact sent a shock straight to my heart. I smiled. 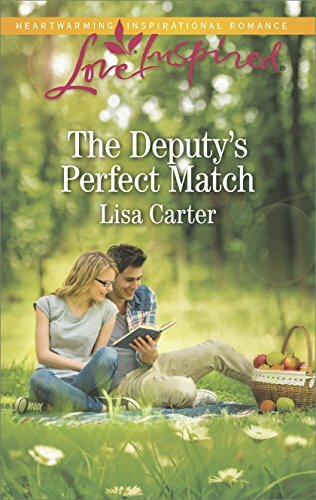 Having him so close—smelling the fresh peppermint on his breath—was a fierce mixture of agony and ecstasy. They were feelings I’d never imagined I could feel. Next postLet’s Get Real. I have a Brain Tumor. Kathryn, thank you so much for hosting my book . . . again! I appreciate your help in spreading the word about Uncovering Cobbogoth so much, and it always helps when you give it a good review. 😉 Hope things are going well with you and yours. You’re welcome Hannah! Any time. I’m looking forward to reading the next book! Happy Writing! Yes, Uncovering Cobbogoth is the same book as Cobbogoth with a few tweeks. A publishing company picked up her book! That’s always exciting. Haha yep it’s a great name and a great book!